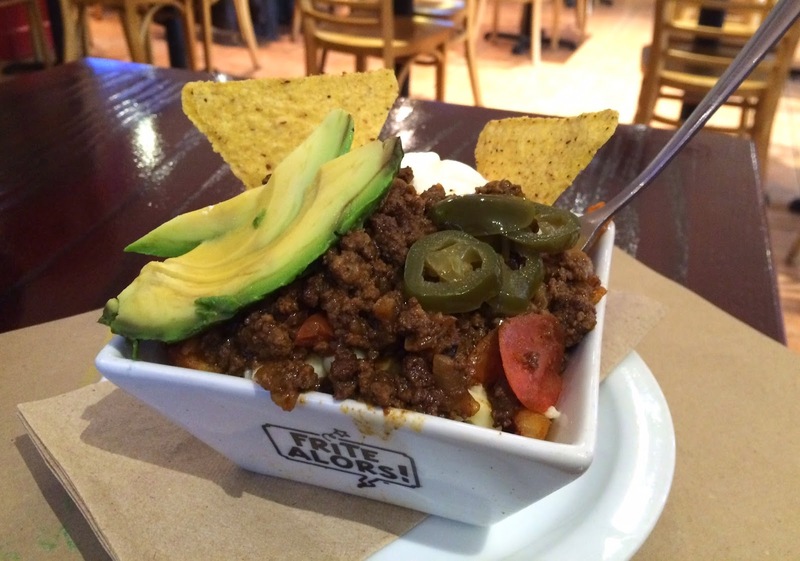 Today, February 1, 2015, La Poutine Week has started, but unlikely last year, each restaurant are offering various price ranged poutines while they're supposed to serve special 10 dollars (or less) poutines in 2014. I planned to go to Sesame like last year, but they're not open at noon though their Facebook page says so (as of Feb. 1, 2015). Instead, we went to Frite Alors! 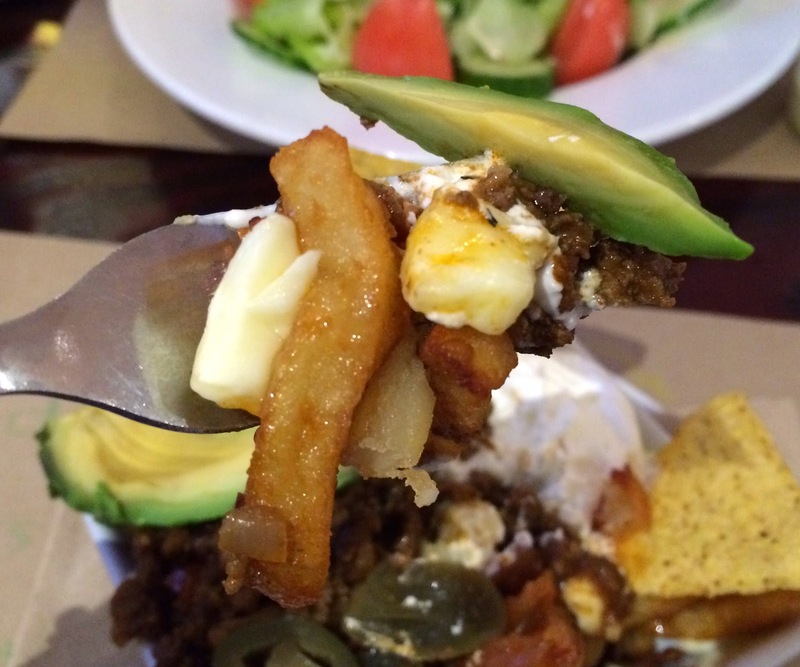 to try their poutine week special "Poutine Tacos," in English, it's "Taco Poutine." Other reviews of Frite Alors! are the following. When we got there at 12:14 PM, not even 10% of the tables was occupied so that we could sit right away. 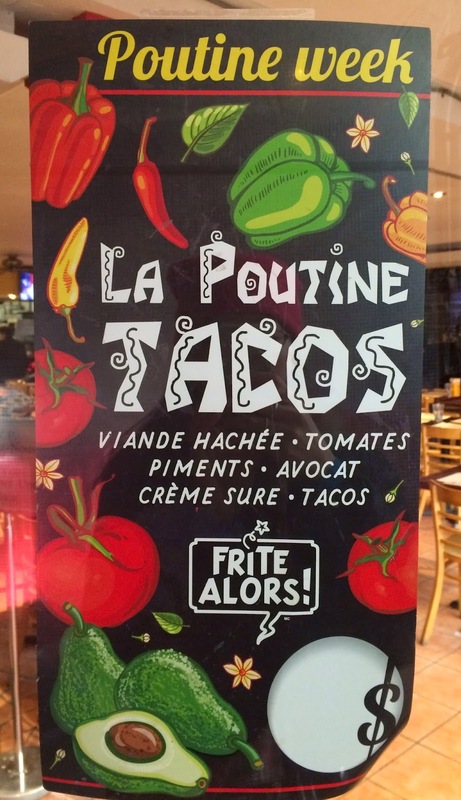 They didn't have Poutine Tacos on the menu but had posters on the door and walls, and I had already researched beforehand so that I ordered it after getting attention as they don't come to take order spontaneously most of the time. They said a small size was for 10 CND dollars. I placed my order at 12:18 PM and this poutine was brought at 12:30 PM. In a white square tray with "Frite Alors!" 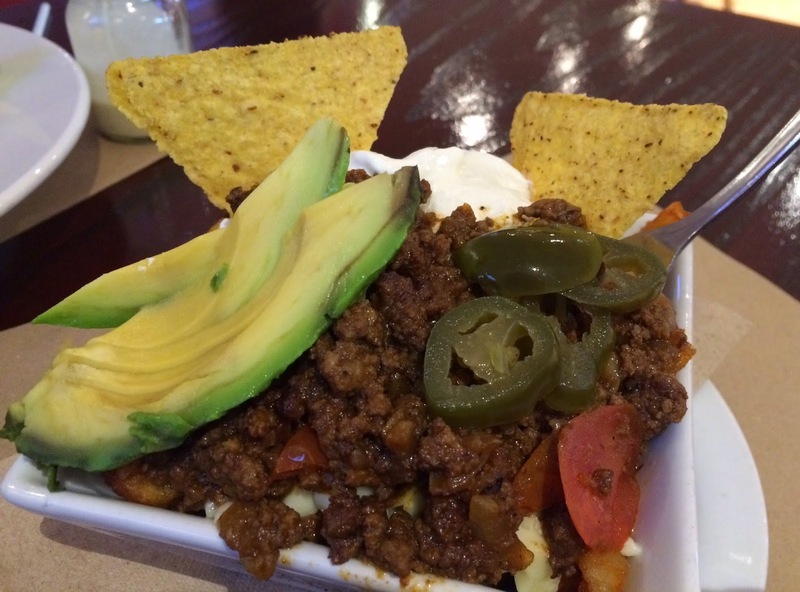 logo, there're taco meat, sliced tomatoes, jalapeños, avocados, 2 corn tortilla chips and sour cream, and fries and cheese curds were hardly seen. 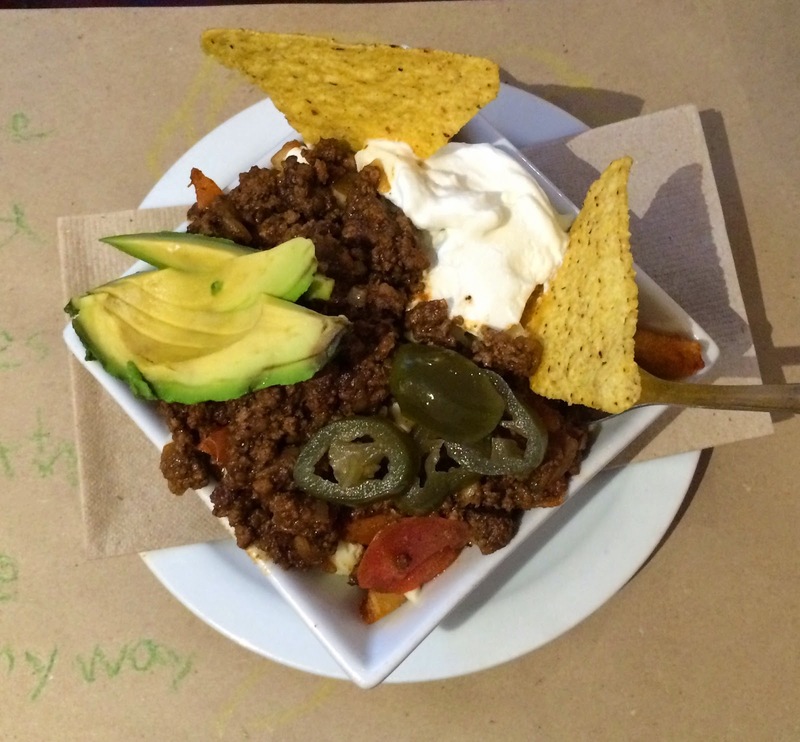 Taco meat (ground beef) was seasoned very well and really tasty, avocado slices were ripe and soft, and tortilla chips were crunchy. Sliced tomatoes were drained well and somehow jalapeños weren't spicy at all. I had to dig to find fries and cheese curds, and the fires were medium-thick cut and cheese curds were squeaky. As you can see, there's no gravy sauce in this Poutine Tacos so that the fries stayed crispy and never got soggy till the end, and it's great. 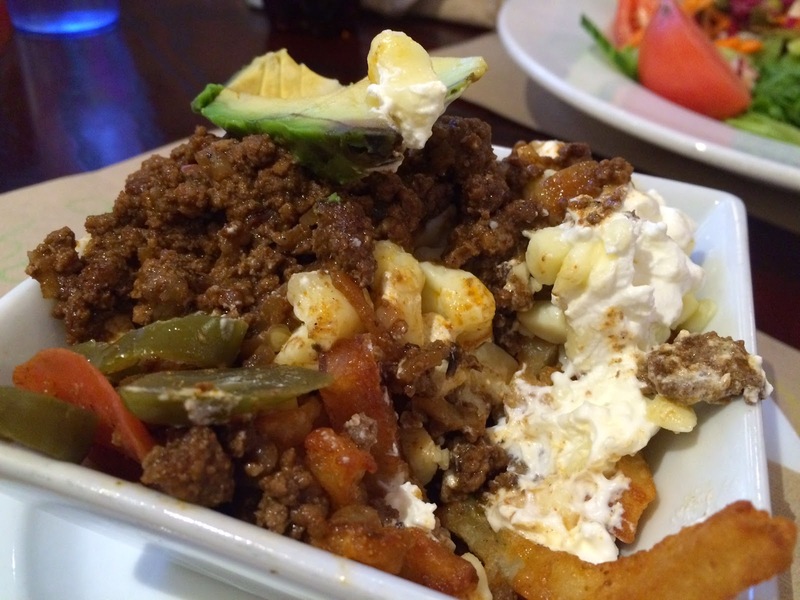 Sour cream added creamy but light texture and it's truly a great combination of poutine and taco. While it's missing gravy sauce that is one of the necessary ingredients for poutines, this poutine was very tasty and I liked this one a lot more than Lobster Monster from last year.